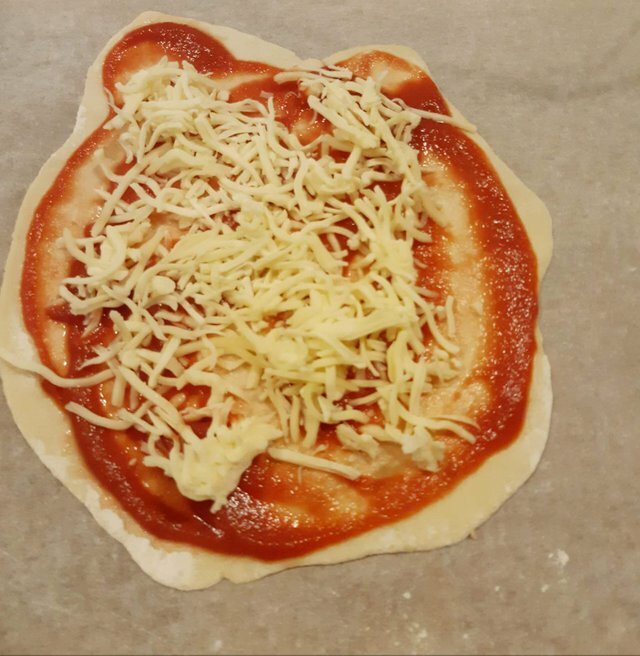 Nothing's better than homemade pizza. Place water and yeast into a bowl and mix about 20 sec. Add the flour, olive oil and salt and knead about 2min. 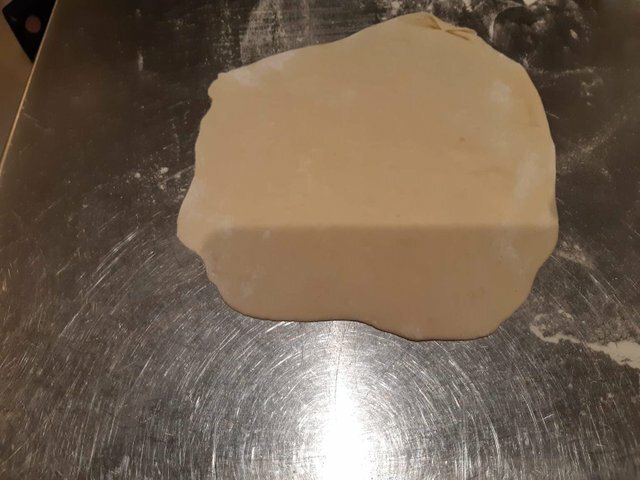 Transfer dough into ball. Cover ball with plastic wrap and leave to prove in a warm place until double in size (approx. 1h). Use as needed. 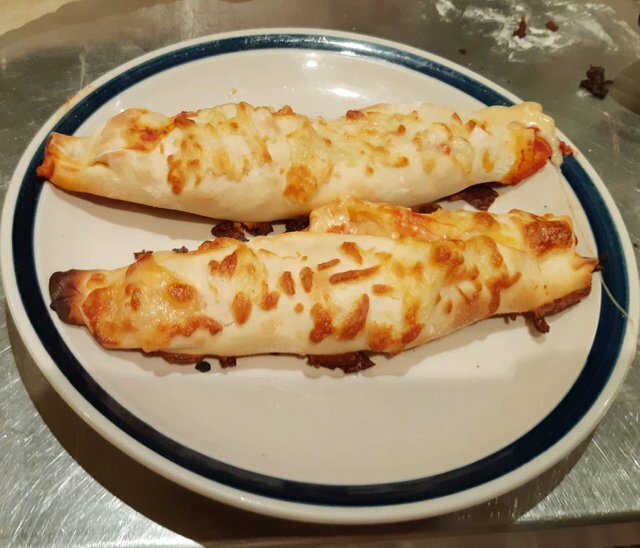 This time I tried to make pizza wraps. How about a breakfast pizza wrap? Scrambled egg, finely diced bacon and pizza cheese or scrambled egg, sauteed mushrooms and pizza cheese. 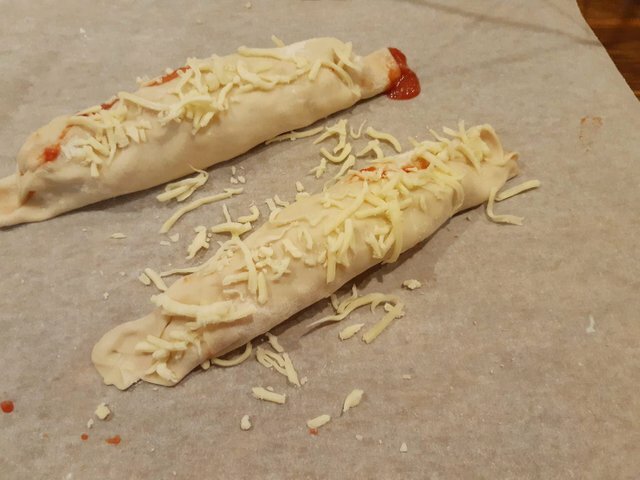 There are NO rules when it comes to pizza wraps!